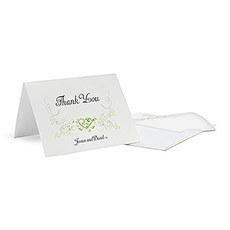 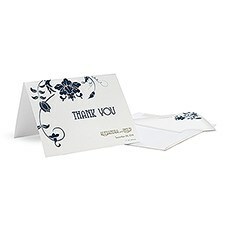 A handwritten card is a thoughtful way to express your appreciation. 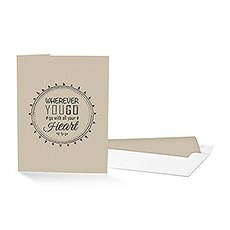 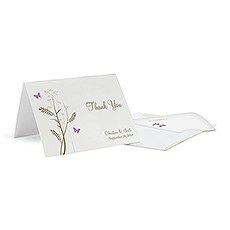 Choose from a wide selection of styles and designs for a personalised way to thank your guests. 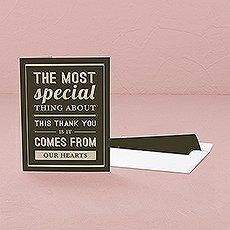 Let your family and friends know how much you appreciated their attendance, their gifts and their well wishes with our assorted variety of thank you cards from Weddingstar. 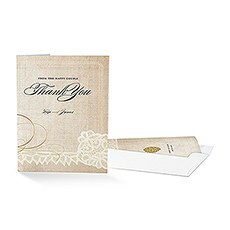 Discover the thank you card that best matches your other wedding stationery and accessories by browsing our huge selection of wedding table thank you cards. 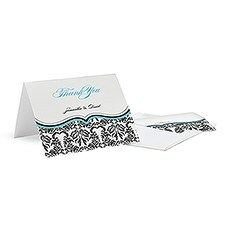 Find the one that is ideal for your personality, wedding motif or style preference. 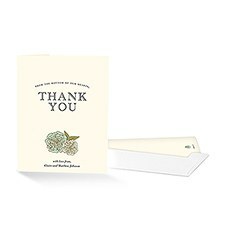 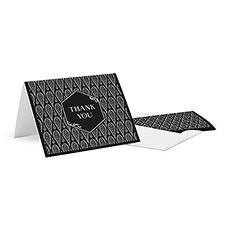 The more you buy, the more you save with our thank you cards - you'll love our wholesale pricing when you buy in bulk.Weddingstar offers our amazing personalised thank you cards at fantastic prices - good etiquette and expressing your gratitude after a fantastically formal affair doesn't have to break the bank! 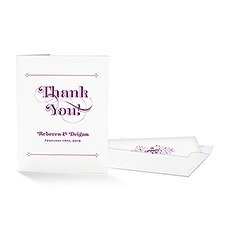 Available in dozens of designs, vibrant colours and divine details, you are sure to find the thank you card that is right for you.Match the wedding invitations purchased from Weddingstar with our thank you cards, or go for a totally different look. 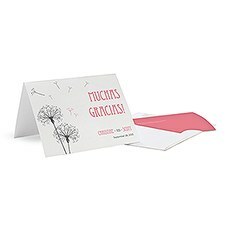 Choose cards that reflect the season - our Classic Orchid, Zinnia Bloom, Love Bird or Romantic Butterfly thank you cards are ideal for the budding blooms, butterflies and fresh greenery of the summer and springtime months.Have a hobby or a particular interest that suits your fancy? 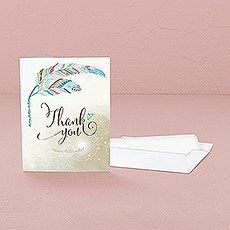 Our thank you notes will reflect your interests - thank you cards such as Vintage Travel or Equestrian Love are as unique as you are! 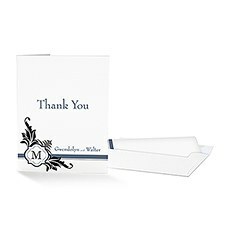 Choose from classically sophisticated monograms, initials, names and script that get the message across in clear, simple style that never goes out of fashion. 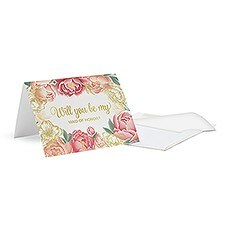 Embrace the romantic side of life with Heart Filigree, Vintage Lace, Cherry Blossom or Heart Strings thank you cards.Our cards are brilliantly colourful and exceptionally printed with flat print technology. 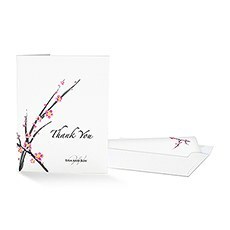 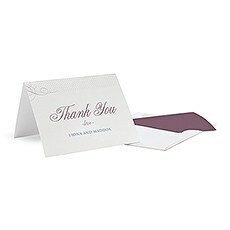 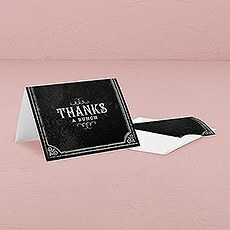 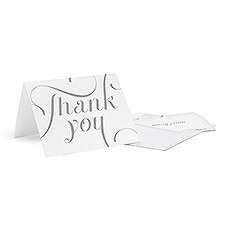 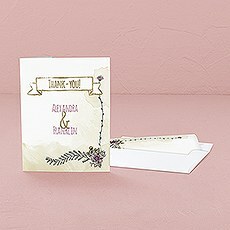 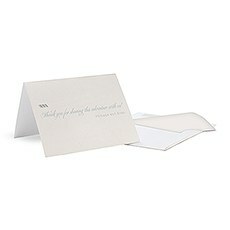 Each thank you card includes a "Brilliant "White" envelope.Find what you're looking for with our fabulous thank you card designs at Weddingstar, and send your greetings and gratitude to your family and friends in style.